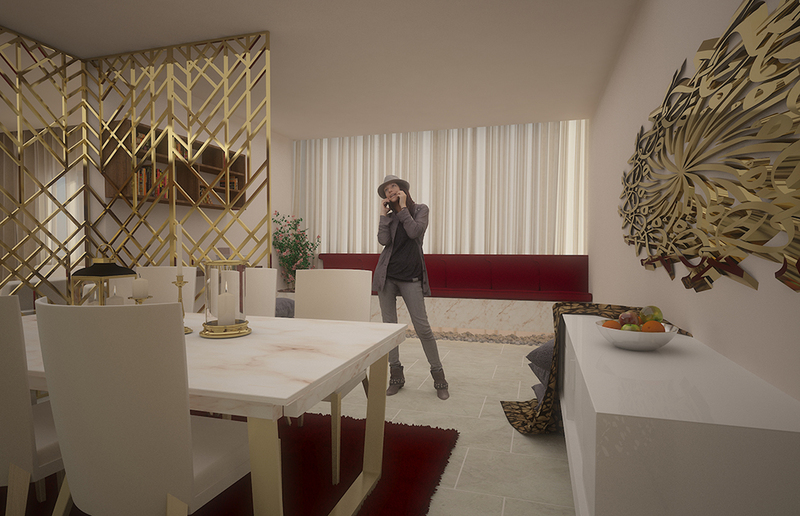 The Client have requested to face lift their apartment feel and look. 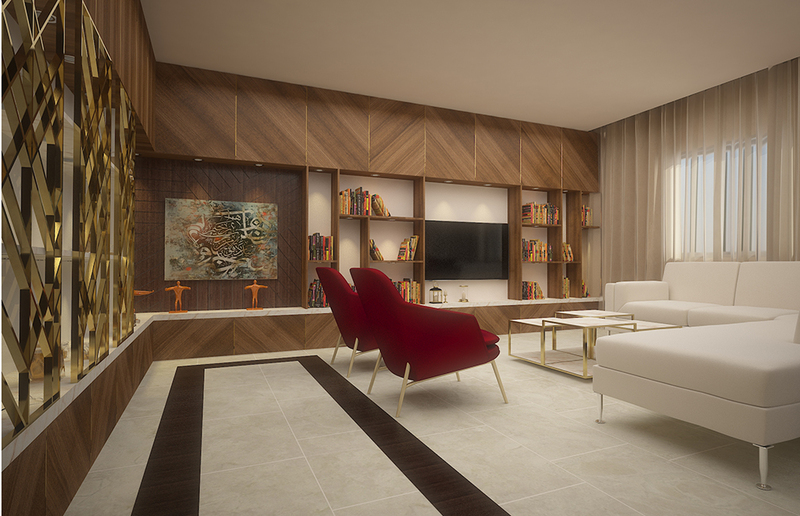 The Client vision of their home to have a modern warm feel. There is a wasted space in the current living room, and the overall planning of the space. Though it was essential to suggest to re-orient the space and plan it to better serve their needs. They intend to make the space firstly occupied and fit for them rather than visitors. Hiba (Client) loves the Arabic Calligraphy, Darawish, and living colors. Mixing the old and new has always been a design trend, keeping the nostalgia of the old and usability of the modern. The modern design is simply established by simple and minimal use of material and colors. The use of modern manufacturing is key for the production of the furniture and the wall cladding. This is using Laser cutting, CNC machines. The Design takes into consideration the Lebanese design trends and the mix of modern and traditional style.